Most of the seafood at Barracuda comes from local waters. One of the most noticeable tenants of The Wharf ,a 24,000 sq. metre open-air mall opened in 2015 at the western end of Samui’s Bo Phut walking street, is Barracuda. The stylish concrete and chrome restaurant sits close to the sand. 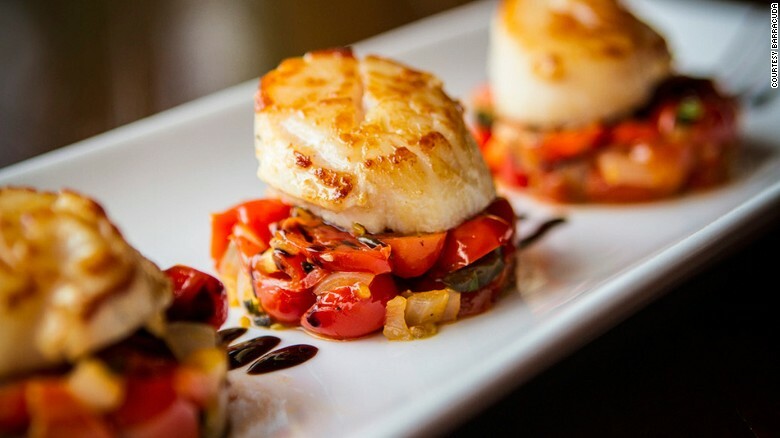 Run by German Ferdinand Dienst, it serves Mediterranean-influenced dishes using local ingredients, 80% of the seafood comes from the surrounding waters. All its vegetables are locally and organically grown. Barracuda’s concept is winningly simple: serve fresh, high quality product on a small menu that changes frequently, with service to match. It’s rare to come across a restaurant that earns universal acclaim, but you’ll be hard-pressed to find anyone with a bad word to say about chef Francois Porte’s Chez Francois. Guests enter on a street close to the Fisherman’s Village through a large, ornate door into a cozy space with black and white checkered floors, and a large wooden centerpiece table. At the back is a small bar. The menu changes daily, depending on what Porte finds at the market. Stacked is on a mission to be one of Samui’s funkiest dining experiences. Front and center to that is our passion for putting out quality food & drink. Serving everything from gourmet seafood and fish, to chops and steaks, our specialty lies in the art of creating the perfect burger (we like to think of ourselves as ‘burger connoisseurs’!). Combine that with our extensive wine or cocktail list. Top it off with live music and the biggest sporting event of the evening. Stack it all together and there you have it – the recipe for enjoying Chaweng the Stacked way! But Stacked is most famous for its burgers. For those that feel up to it, the Stacked Burger Challenge consists of four burgers and eight strips of bacon in a black sesame seed bun served with double fries and double slaw. It’s free to anyone who can finish the monster in 20 minutes, otherwise it costs 1,000 THB (around $28 US). Two local expats, Executive Chef Martin Selby and Food and Beverage Aficionado Damian Ahern, decided Samui was lacking a down to earth eatery with a warm and welcoming ambiance, that serves high quality and innovative food without the usual pretense. “Our philosophy is to not rely on stunning views, fancy table settings or elaborate décor. Do not expect silver service…instead you will find high-end food, served in a provincial and approachable way.” says Martin. 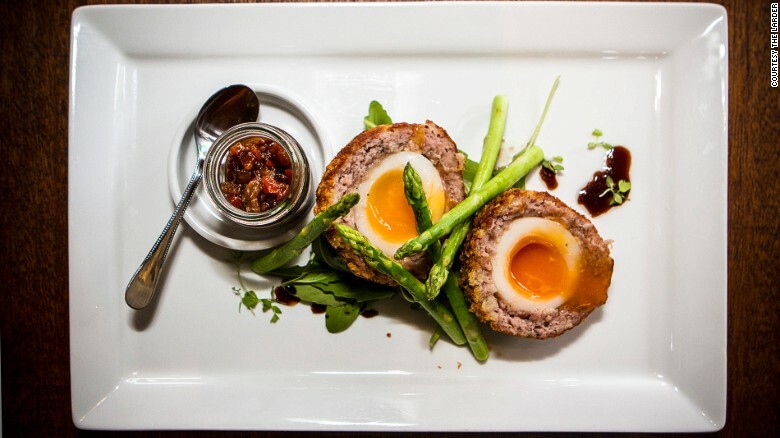 Menu offerings include chicken breast and liver pate, Spanish chorizo and potato minestrone, and Serrano ham with soft-boiled quails eggs, glazed cauliflower and wild rocket. Fine food, tropical vibe and cocktails to dream about. When he quit his job at one of the island’s five-star resorts, chef Vivian opened his own restaurant, the cheekily named Cafe 69. The interior is as colorful as the owner, with glittering silver tablecloths, turquoise walls and an over sized 69-shaped ceiling light, casting its glow on diners. The food, perhaps best summed up as Thai with a twist, is similarly inventive. Green curry pie with mango and fettuccine tom yum goong carbonara are two examples. The restaurant is on the small side and can fill up quickly, so booking ahead is recommended. A best of Koh Samui beachfront feast for locals and visitors, this restaurant is a well-kept secret among lovers of fresh local seafood. The vast menu includes interesting southern delicacies like gaeng som, a popular local sour curry, as well as a full list of Thai favorites. The red snapper with chili and mango salad is a treat, as are tiger prawns in tamarind sauce, if available. Everything goes well with coconut juice straight from the tree. Diners needn’t worry about stuffing their face — they can always work off the calories by going for a post-meal paddle in the restaurant’s kayaks, offered free of charge. Think cafe has a prime sunset-viewing position. It’s hard to miss this funky little cafe. 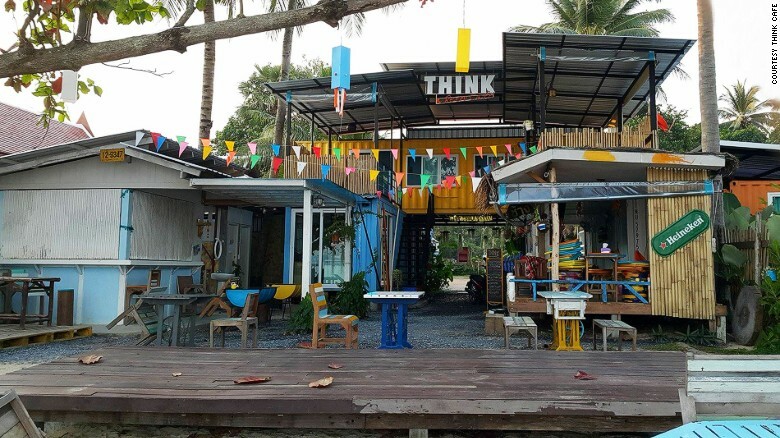 Not just because of its location — in the middle of the west coast, a few kilometers south of Koh Samui’s capital of Nathon — but because it’s made from recycled shipping containers, refitted and daubed in bold yellow, red, blue and orange. The fence of colorfully painted old tires is also an attention getter. Like many establishments in the southern Thai islands, Think has adopted a hippie-beachcomber, ramshackle decor. The collection of chairs and tables set in the sand at its covered entrance is the best place to watch the sunset with a drink in hand. Fisherman’s Village is well known for being one of the most romantic places to dine in Koh Samui . One of the most romantic restaurants you can choose while you are there is 56 that can be found about half way up the strip. 56 was named after its house number in the street and has a intimate atmosphere, a comfortable bar area and stunning artworks that are available for sale. Chef Khun Nit provides guests to 56 with incredible dining pleasures from the East meets west Asian European menu. The menu is available in English, French, Russian, German and Thai and features many irresistible choices that are all mederately priced. All of the ingredients are brought locally and prepared fresh daily. With its warm Mediterranean decor and beach-side terrace in the heart of Bophut Fisherman’s Village, Starfish, as it’s known, is always abuzz with vacationers. An eclectic, occasionally quirky menu of Thai and Western dishes complements the restaurant’s fresh daily seafood offerings, the latter displayed on ice out front and cooked fresh to your taste. 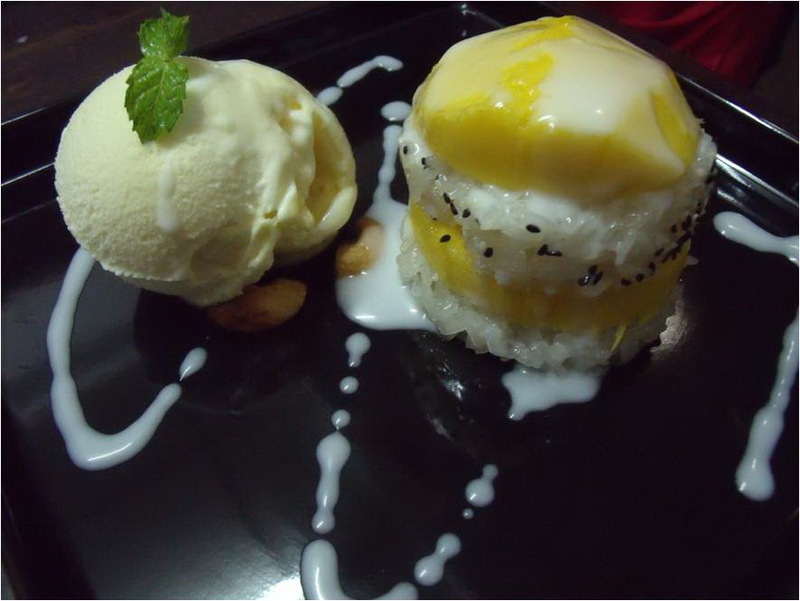 A distinct French influence means there’s a good wine selection and desirably dangerous desserts, such as the ever-popular mango and sticky rice. Named after a Prince song, the restaurant opens at noon so no chance of eating its butterscotch clouds and tangerines for breakfast. Is the great view one the precious parts of 9Gems? You’ll have to see for yourself. 9Gems is part luxury villa, part upscale lounge. There’s fusion food, tapas and cocktails, all served hillside, with great views over Chaweng Lake stretching to the beach. “Miami Vice” meets Buddha Bar — this best of Koh Samui place offers the white linen brigade a sassy place to splash its cash. High on the west coast, at the pinnacle of the InterContinental Samui Baan Talin Ngam Resort, Air Bar is consistently rated as the best place in Samui to watch the sunset. It consists of a large open deck and stylish square, back-lit bar that juts out over the hillside, flanked by an array of sofas and armchairs all facing out to the vast ocean view. Getting there around 5 p.m. helps secure a front row seat. The cocktail menu is excellent, created by Bangkok-based mixologist Joseph Boroski. Zazen is located directly at the beach front, at the far end of Bophut bay. The entrance on the side of the detour is an attractive, terracotta arch, which leads to the beautiful lobby of the Zazen Boutique Resort. 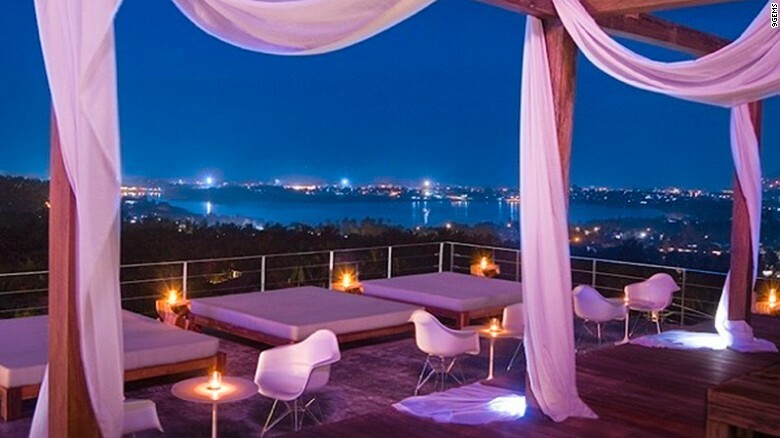 Zazen Restaurant is certainly among the most attractive places for dining in Samui. Stefano Giacomelli, Italian restaurateurand and owner of Antica Locanda, one will surely feel he has come home.Perfectly located in Bangrak, Antica Locanda enjoys a good number of regular guests from the foreign community on the island who would likely order their famous pastas and super pizzas to go with a perfect wine. The pizzeria boasts genuine Italian ingredients shipped all thousand miles to Samui. And the restaurant owner, a 10-year resident of the island, and with a supportive Thai wife in tow, makes sure that their guests experience memorable dining moments. Antica Locanda offers huge portions, efficient service, friendly staff. 28/1 Moo 4, Tambon Bo Phut, Koh Samui, Suratthani 84320 Thailand. Noori India is the oldest star on Koh-Samui Indian Restuarant scene. Situated on Cheweng Beach road in Koh-Samui. Noori India is brain child of two brothers; Peter (Amit Pandey), and Di-Di (D. D. Pandey. The brothers have pouring their knowledge, experience, dedication and devotion in Noori India. Two years back they opened another outlet of Noori on same Cheweng Beach Road near Poppies Hotel. The restaurant offers the best of North Indian Food in stylish and comfortable surrounding at pocket friendly prices. Noori India has every thing you would want in a top class restaurant, red carpet and exclusive paintings of Rajasthan – India as decoration, mouth watering food, exotic presentation friendly service of staff under supervision of Di-Di himself and no frill prices. The setting may have changed but the food remains as fine as ever – great Italian dining such as pizza, pasta, seafood and Italian desserts such as tiramisu. There is also a wide selection of wine.The restaurant has a lovely wooden terrace with sea views. Chef Chom’s was named after Chef Chom who was previously a chef in the Thai Royal household and has trained over 500 chefs and cooks in her illustrious career. Chef Chom’s serves traditional Thai cuisine that is authentic to four main regions of Thailand; North, North Eastern, Central, and South. Only the highest quality of ingredients is chosen, presented in an eclectic style that takes inspiration from key parts of the country.